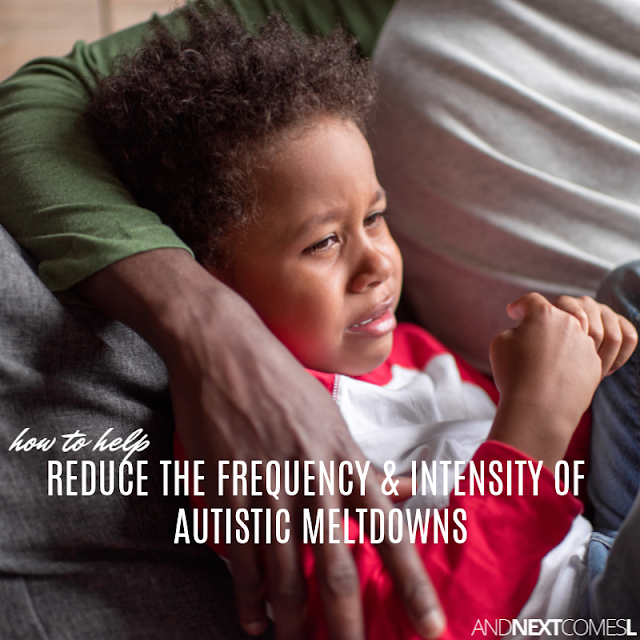 Tips for reducing the intensity and frequency of autism meltdowns. Cue the tears. And the screams. And the sometimes violent thrashing. Or the rocking back and forth while covering their ears. Those are just a few things you might encounter during an autism meltdown. They're signs that the world is just too much right now for your child. They're simply overwhelmed and overstimulated. Now, meltdowns are tough to witness as a parent and you sometimes feel helpless, but they are a million times harder for your child. However, there are some things you can do to help reduce the intensity and frequency of these meltdowns. Tips that will help you spot an incoming meltdown before it actually does. And tips that will help your child build self-regulation and coping skills in an effort to make meltdowns less painful for them too. First of all, remind yourself that autism meltdowns are rarely about the little things. Although it probably feels that way some days. It's important to remember that there is likely something else going on though. Some kind of slow build up that brought your child to the point of an autistic meltdown. Do you remember my post about what is a meltdown? It's a good introduction to meltdowns vs. tantrums, in case you are new to the world of meltdowns. Anyway, it was originally too long so it got broken down into two parts. 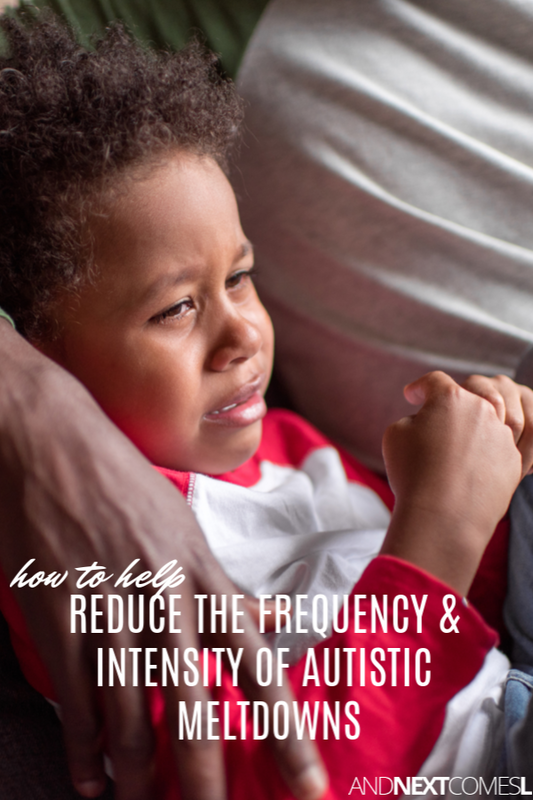 Well, this post about reducing the intensity and frequency of autistic meltdowns is part II. In it, I share some tips that I hope you will find helpful! Because, after all, it is is possible to find patterns and triggers. Things you can use to help spot potential meltdowns before they occur.